Competition Analysis | How To Keep Ahead Of The Competition? HomeSEOCompetition Analysis | How To Keep Ahead Of The Competition? Competition Analysis: Competition has always provided important insights into the strategy and the path to success that a company or another should follow. An objective, careful and complex analysis of each step of the competition is an important indication for the strategies of any business. This is also an important step for the SEO strategy of any site that wants success in the online environment. Along with on-page search engine optimization, social networking promotion, link building, competition analysis has become an indispensable point for any online promotion strategy. Competition analysis means a good knowledge of the niche that a site is about to enter, a good knowledge of the "players" on that niche (a simple search for keywords on Google can bring out new competitors, perhaps not yet known), knowing the content of those sites and how they address the SEO side. Competition can be considered as any site on the same niche that benefits from a higher page rank than the one for which optimization is being attempted. The main objective in this case is to find out why these sites have a higher PR? What makes them to be in the position at that time? What does another site do and the one does not do? Are the steps that make him useful for his authority? The type of SWOT analysis is also recommended. SWOT is the acronym of the British Terms Strength, Weakness, Opportunities, Threats, which would mean an analysis of the Strengths, Weaknesses, Opportunities and Threats a site has. Essential in today's competition analysis, keyword analysis means finding out what is the most important factor in a site's SEO process. There are enough tools to find out which are the best keywords for a niche and once they can be checked on the competition sites. On the other hand, competitors' sites in the same niche can bring to light the untapped keywords on the site for which the analysis is made. Although highly controversial and avoided by some webmasters because of their potential to "bother" Google and thus attract negative consequences for the PR of a site, correctly used backlinks are very important in the entire SEO mechanism. When analyzing the backlinks of the competition, it is trying to determine the number of backlinks, the sites from which they come and the text. Such an analysis can reveal new authoritative sites that are not yet known by the analytical site and can benefit equally from the competition. Beyond keywords and backlinks, other search engine optimization paths can help sites benefit from a higher PR. That's why it's important to check Google's PRs from time to time, but also on other engines. It is also necessary to check the number of pages with which the competition sites are indexed. Competition analysis is done not only on the content of the site and off-page optimization, but also on the rest of the online promotion campaign, and can include email marketing analysis (access to emails is simply by subscribing to emails as well as newsletters), analyzing the social media promotion campaign (tracking social networking competitors to be aware of how they interact with their audience). In recent years, presence on social networks is driving a huge traffic to a business website, especially if we talk about major networks - Facebook or Twitter. Also, social bookmarking sites are very important for traffic. The marketing strategy also offers important data about competition, whether it's past marketing actions or current actions, and especially what the traffic changes have been after applying some marketing strategies. Google Adwords is one of the great ways to promote, but for companies or sites that have a slightly higher promotion budget. Payment for this system is Pay Per Click. The analysis of the PPC competition campaign provides a great deal of data on both the financial resources that a site competitor puts into play when it comes to online presence. Data about PPC campaigns is available through the Google Analytics Analyze Competition tool. Competition analysis is far from being a first step in starting a project in the online environment, which ends with completing the picture with everything that means competition and its actions. Competitor analysis is more of an action that needs to be kept constant, especially since Google's search algorithm is constantly changing. New Panda or Penguin updates, famous and feared for the possible effects that sites might cause, affect how certain pages’ win or lose a page rank. Also, the latest changes announced by Google are based on the fact that Panda will be a filter for indexing certain sites and that the basic principle will always be the one of quality. 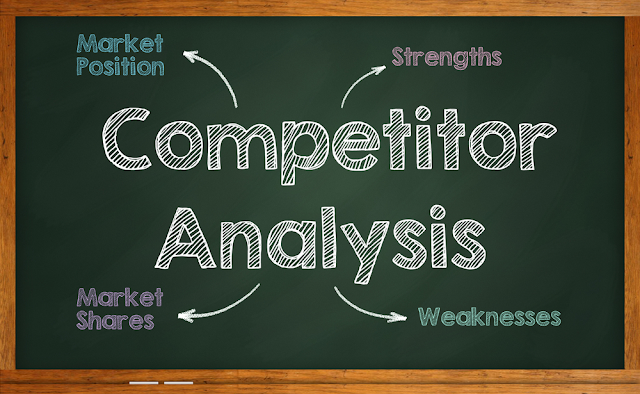 Competition analysis contributes to a better SEO campaign, but it is very useful on the other hand and to have data on the development and internal functioning of competitors on the same niche.